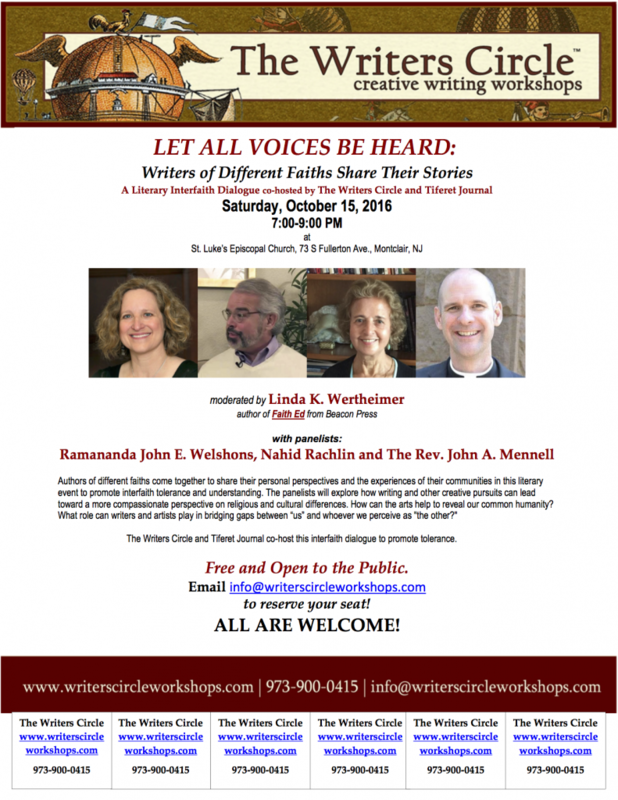 Join St. Luke’s for an interfaith dialogue on writing from people of different faith backgrounds. The event will be held on Saturday, October 15 from 7:00 p.m. – 9:00 p.m. in the St. Luke’s Assembly Hall. The Dialogue is free to attend and open to the public. Join us, but save your spot today by RSVPing that you’ll attend by emailing info@writerscircleworkshops.com.